The mission of the European Business Law Review is to provide a European forum for analysis and discussion of business law, broadly defined and including both European Union law and the laws of the Member States and other European countries. The editors attempt to identify issues which are of interest to practitioners and scholars and to strike a balance between scholarship, policy discussion and the needs of the practitioner. These issues may concern public or private law, domestic, European or international law. In this wide area, the Review moves freely over the boundaries that divide the law. The pace of reform and developments in European business law is such that drawing a distinction between policy, legal scholarship and service to the practising legal community would be a mistake. The European Business Law Review has traditionally primarily responded to the demand for exposition and analysis in sufficient depth to provide the answers, or further references, to the questions arising in practice. This coincides with the needs of the academic community which provides most of the articles for a law review of excellence, a review which practitioners also prefer to read. Practitioners and academics share the wish to involve policy makers in dialogue. Regulators, on a national or European Union level, have a need for a forum where they can develop this kind of dialogue. 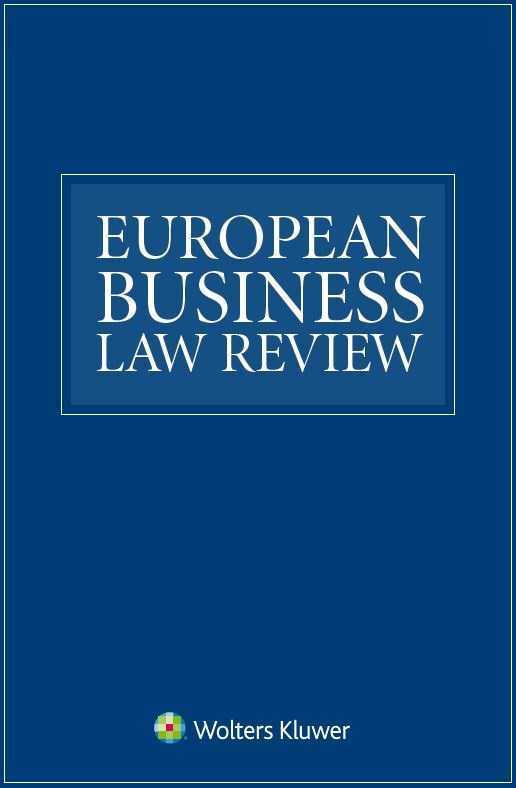 The European Business Law Review offers current, authoritative scholarship on a wide range of issues and developments in European business law. With contributors providing an international as well as a European perspective, the Review proves an invaluable source of current scholarship, information, practical analysis, and expert guidance for all practising lawyers, advisers, and scholars dealing with European business law on a regular basis. It aims at promoting the understanding and development of law on a supranational rather than a merely national basis.